On the verge of buying this 67' Coupe hardtop. Just wanted to get some Mustanger's opinions! Owner selling it has owned it since 2002. Talked him down from 15,500 to 13,000.He has a book of restoration pics from 2000. Not perfect but very good re-paint. Couple smallish dents. Motor is okay but probably somewhat tired and very old even if rebuilt no history on it. It drives okay but not very strong. It was a freezing cold day when I was in NH (from VA) to test drive it and it's 2 barrel carb is tuned for summer so this may have played a part. Many small things inside work like heat, blower. A/C Comp was removed but it had factory in-dash AC Some issues in the cold with headlight switch and door locks (froze up). Frame rails underbody looked and felt very clean. No visible rust anywhere on car. Peeked under dash, or visible cowl rust. Very nice interior though interior and paint job don't match VIN and plate on the door. Essentials such as 289, C4 etc do so match Rear end looks like it was repainted or new at some point. Driver side fender gap bugs me a bit. Fender was off during restoration pics. So they either put it on badly, it's an aftermarket that doesn't fit well or frame is off. Hope not, no way to tell. I plan to rebuild motor and I'd do all the work except the machining myself. I was a mechanic in my 20's and have access to a shop with lifts and air tools. Couple videos of it running! I plan to build a much better motor out of it if I end up getting it. It seems kind of high for not having much fancy stuff other than new paint. Is it totally rust free? How much was rebuilt? Is the suspension all new? New drive train and engine? New interior, new brakes? I spent about 2 hours with it and I have owned a 67' and a 66' many years ago but my impression was this: The 6' is totally rust free. Suspension is good and likely replaced at some point but not new. Brakes a ok. They are 4-drum power brakes. It stops well for front drums. Pretty good paint and very nice interior as shown in one of the videos. Power steering. Saw zero frame, board or body rust no signs of bondo. Though there could be some it's always possible. In the 2000 restoration the entire dash, wiring was all gone through and per the pictures. I have another one, a 68 light blue, with a rebuilt 302 motor and rebuilt C4 trans tons of new parts incl suspension. Much closer to home. But that one I have to put together and he wants 11k for it. 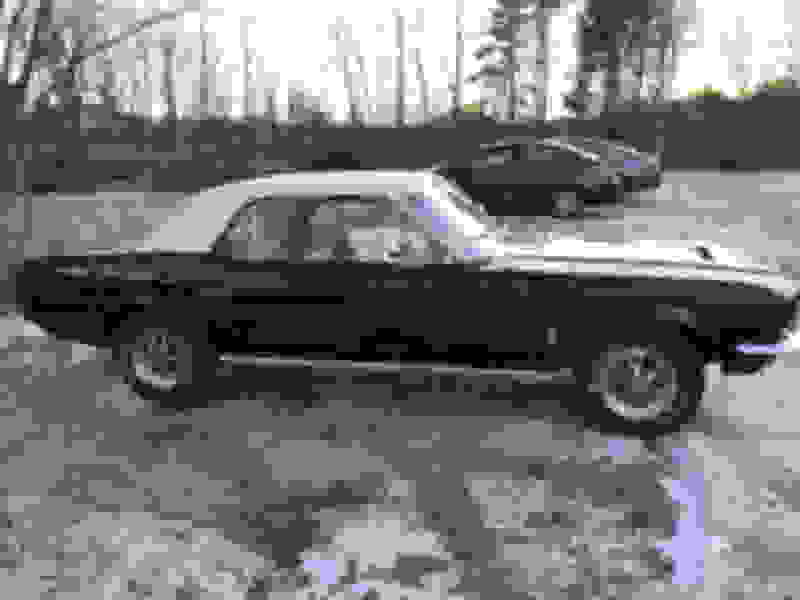 Not as much into the 68' body style and it's a more plain Stang' withoug the hood vents and blinkers, and the non-factory A/C which though original IMO is pretty ugly. That one too is super rust free well maintained. Has better documentation and is also coming with the old original 289 that needs rebuilding in addtion to the 302 and other parts. It's a tough choice for me. well 13 might not be a terrible price then. It sounds like it actually had work done to it other that new paint and carpet. Plus rust free is a big plus. sounds like you've spent some time with it. If you think 13 is okay based on what I can tell from here chances are you are right. It looks like good driver so if it's solid with no major issues then I'd have to say he's in the ballpark for a fair price. A fella could have a lot of fun with that. This thread has inspired me to try to knock it down to 12k. I can get another stang for 11k w/rebuilt motor + trans new front suspension locally (the one depicted here was near Boston). One in Richmond It's nice but not quite as pretty or high optioned. Solid CA car. The only catch there is I have to install the rebuilt motor+trans myself and it's a 68'. 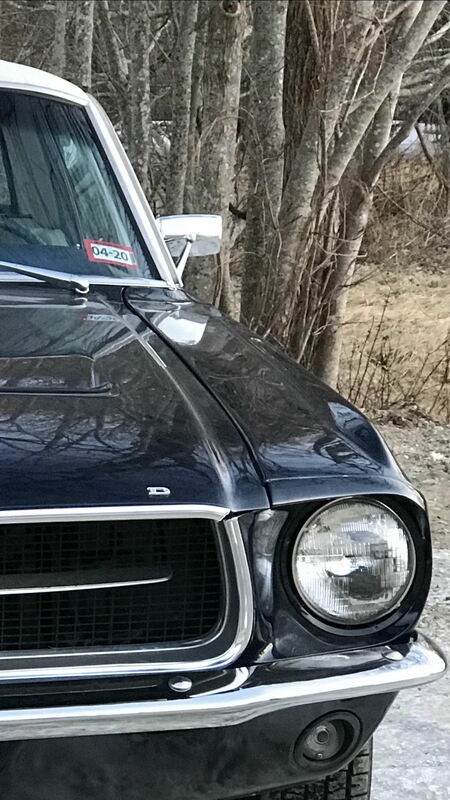 Not as fond of 68' body as I am of 67 but it's a solid bet to be able to sell for more than 11k after I would put it together. 1999 11-sec all motor Cobra for sale, 13k in mods. If you had 13K, what stang would you buy? 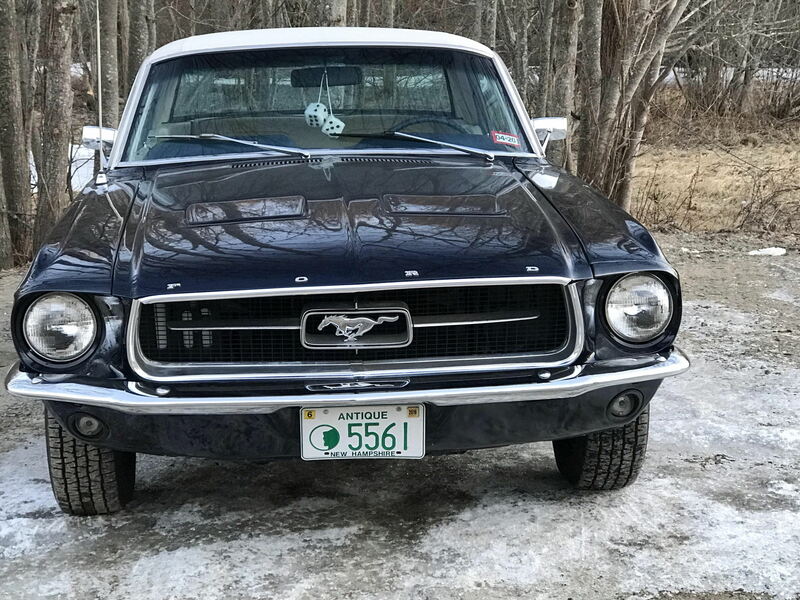 Quick Reply: Should I Buy this 1967 for 13k?